It’s that time of year again! That glorious time when I get to exclaim loudly (and with a fair amount of cursing) about all of my favorite books I read this year. Which this year is again ALL OF THEM. On the one hand, it has been tough to find the time to read with a Constant Toddler, writing, and a dayjob, and having once read one hundred books in one year, reading “only” twenty-six feels almost like failure. But! On the other hand, reading less means I simply don’t have the time to finish books I don’t enjoy, so whereas before I’d maybe only really end up enjoying about a third of that hundred, now I enjoy each and every book I’ve picked up. Because who has the time to read books they don’t enjoy?? Last year I read 100% fantasy, 95% written by women. This year it was closer to 60% fantasy and 89% women(or nb)-written. This year I’ve read a lot more literary than usual, which has been a nice change of pace. I do truly read and enjoy all genres, but in trying to be as fluent and well-versed in my own genre as possible, I’ve unfortunately neglected reading others. Thanks to being a part of a 2019 Debut Authors group, though, that was thoroughly rectified this year. …and it also means that nearly half the books I read this year aren’t out until next! Alas, I’m sorry, but also: boy is next year gonna be AMAZING. This is an adventure and a half, complete with djinn and ifrit and ghouls and cursed artifacts and even more cursed lakes and a city and culture thousands of years old which actually has the weight of all that history. Nahri is the best, a thief turned possible royalty who doesn’t magically lose the thief side of her when she discovers her roots. And that ending – that ending. There are still two books to come and I have no idea how Chakraborty will top that ending but I have every confidence that she will. 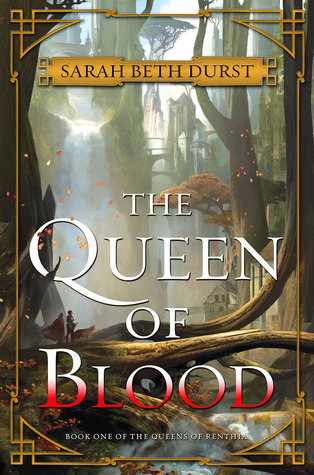 Read if you like: epic second world fantasy that subverts YA romance tropes, actively interrogates morally gray questions, and is clearly written by someone well-versed in history. 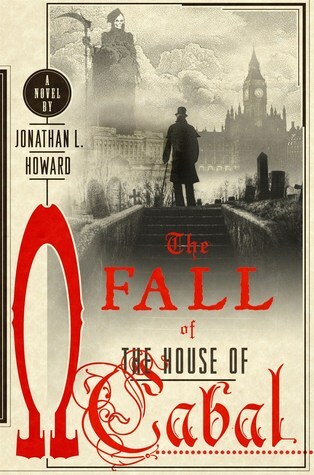 This is the sixth book in the series and if you’re interested in gentleman necromancers who handle family disputes, romance, and gibbering horrors with the same unwaveringly dry wit and cantankerousness, then I’d suggest starting at the very beginning. The Fall continues Cabal & co’s constantly humorous and increasingly corpse-filled story as his enemies multiple but so, too, his friends. Read if you like: dry wit, rampant magic, the undead, the living, & increasingly bizarre situations. True crime podcasts are all the rage lately, but what about the real-life families of the victims? This story explores the implications of sudden fame (or infamy) on a family that had already found their peace. A quick read (or listen, because really you should probably listen to a book about a podcast) and unsurprisingly there’s already a live-action series in production by Apple. Read if you like: family dramas, murder mysteries, thoughtful explorations of the far-reaching effects of our increasingly small world. Well, honestly at this point I will read anything by McGuire, and I have not been disappointed yet. This is the second in her Wayward Children series, which follows the lives of the children who went through portals to other worlds and what happens after. Although this one in particular is about what happened during, and it is full of contemplation about who you are vs who people want you to be and family and love and what you will do for both. Wow. This story takes you above the clouds into a city built upon spires of bone and then goes for broke. The worldbuilding is fantastic: Wilde creates a fantastical setting and then isn’t afraid to explore every corner of the resulting implications. I love all the rituals, the way history and law and warnings are passed down through song (because they don’t have paper [because how could they have trees?? ]), the way the flying felt real and the skymouths were scary af. 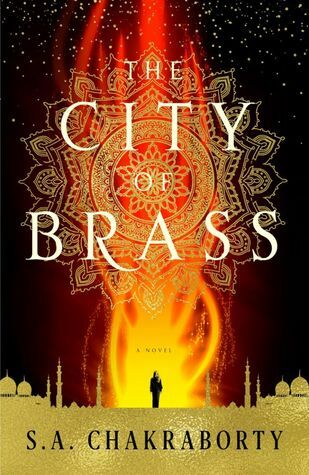 I am itching to read the subsequent books in the series and find out more about how this city came to be. This is one of those books you read about and instantly wonder how it hasn’t been written before. 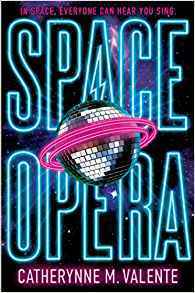 If you didn’t know, space opera is a subgenre of sci-fi, and now it is also a book about Eurovision. In space. But where Eurovision is about uniting Europe through increasingly bombastic song & dance routines, Space Opera is about uniting the universe. And Earth has just been allowed to enter the competition for the first – and possibly last – time. All Earth has to do is not place last to avoid complete annihilation, but the odds are stacked higher than Olympus Mons. Magic in an alternate ancient Rome? Yes please! 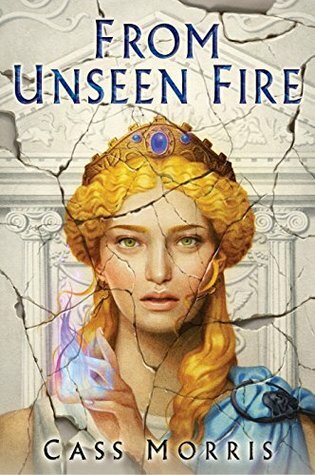 From Unseen Fire includes all the fun politics of I, Claudius plus the elemental magic of Avatar: the Last Airbender. Add in a full cast of awesome ladies and an exceptionally original take of elemental-based magic and, well, I am hooked forever. It’s clear Morris did her research on this one because reading it feels like a walk through the streets of ancient Rome. When every living thing has a spirit – including the trees – and those spirits are more than a bit murderous toward humans, you have yourself a bit of a problem, one might say. Add in some intricate worldbuilding, some cities entirely in trees, and a completely reasonable antagonist and you have yourself a fun (well, in a murdery sort of way) & exciting book. It’s Friendship is Magic meets a proper horror story. 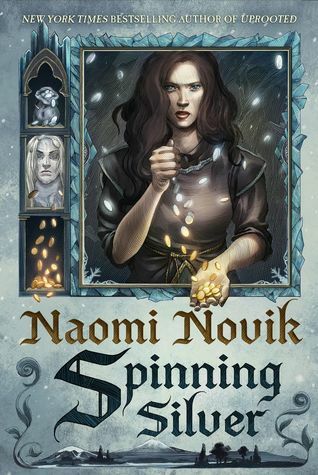 When Miryem’s family comes close to ruin because her father doesn’t have the heart to collect on all the debts owed him, Miryem steps up and soon realizes she’s got a knack for turning silver into gold – not literally, of course. Unfortunately, she makes the mistake of boosting about her skill and someone does take her literally. Someone who happens to be the king of a frozen, fae kingdom just beyond our world. 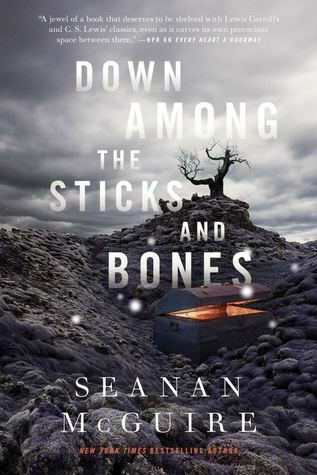 What follows is a twisting path of a story through terrain that almost feels familiar – just enough to be unsettling. 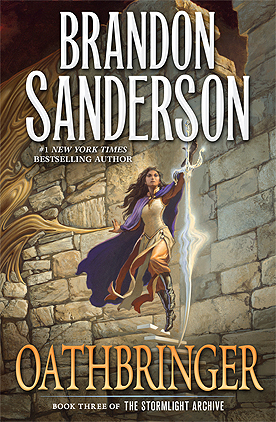 If you like your fantasy extra long and extra epic, you need to be reading Sanderson. This is the third book in his Stormlight Archives series, or more like the ninth, tenth, and eleventh when compared to normal books. 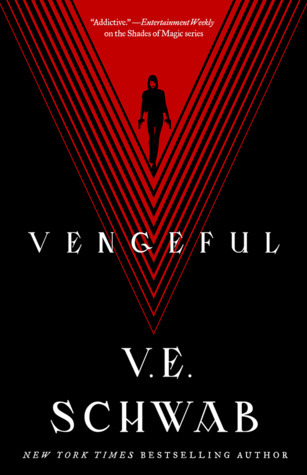 Sanderson continues to impress and expand upon worlds and characters in ways that are always satisfying and always a surprise. He also continues to learn from his past mistakes and is doing a better & better job of reflecting the diversity of a real world. 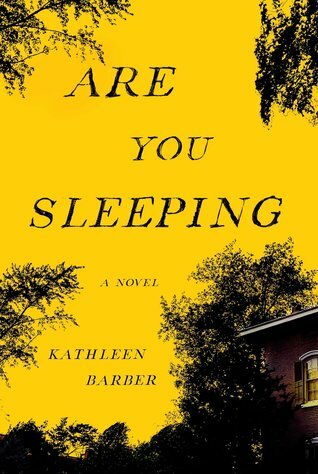 This is a direct sequel to Amberlough, and you should probably read that first. And if you have, then I shouldn’t need to convince you to keep reading this spy thriller / cabaret adventure / anti-fascist gay romp. Well, okay, romp is probably not the right word. 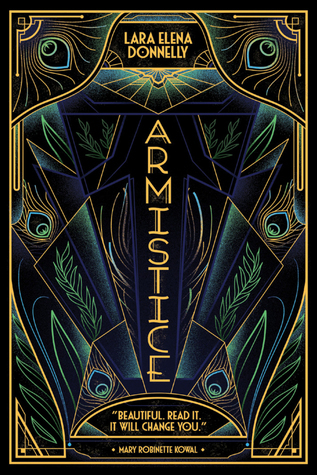 Armistice picks up sometime after Amberlough ends and answers nearly as many questions as it raises, while continuing to raise the stakes. Seriously I said anti-fascist gay romp, why are you still here? It’s a murder mystery set during a siege, what’s not to love? 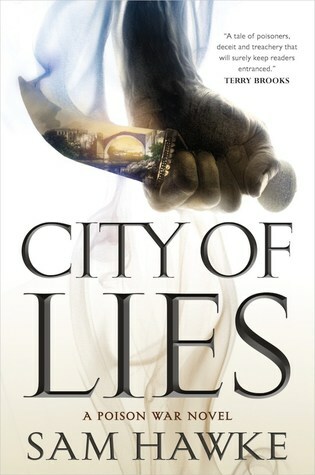 City of Lies is a fresh take on the epic genre, where the relationship between siblings being highlighted more than any of the romantic ones, where you’re never quite sure if the magic is real or not, and where the plot ratchets up and up and UP until you think it can’t possibly go any further, AND THEN IT DOES. This is the very direct sequel to The Guns Above, a flipping romp of a fun, exciting, explosions-filled story the likes of which I just haven’t read in ages. It’s just dark enough in places to make its lighter moments even better. It’s the kind of book you can read in a day and mull over for a month. But also laugh the entire time. 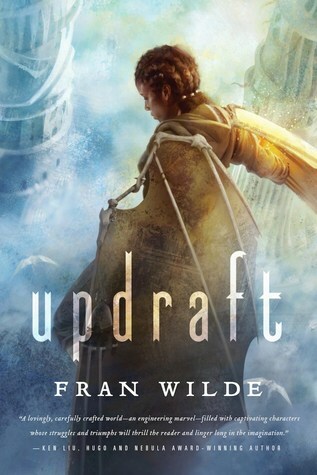 Read if you like: airpunk; understanding airship mechanics even if you never realized that was a thing you wanted before; fart jokes; camaraderie; really intense airship battles. Another direct sequel, this time to Vicious, which asked the question: if given super powers, what would real people actually do? They wouldn’t save the world, that’s true. But some might still try, in all the wrong ways. 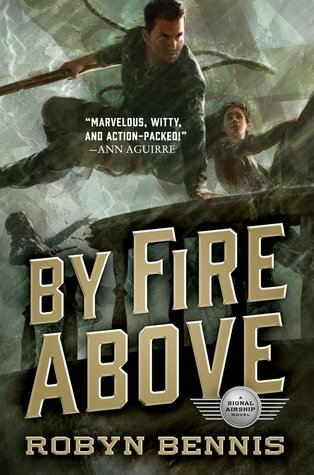 Schwab has been improving by leaps and bounds with each book of hers and this one is no different. Climate change has caused the oceans to swamp the Earth and usher in a wholescale apocalypse, but the Dinehtah people live on. After all, they’d already survived one apocalypse at the hands of the United States. They could survive another. This is a dark but hopeful book, a story about the end of things, but also the beginning. There are gods, yes, and monsters, yes, but the line between them and humans is very thin, if nonexistent. It’s also action-packed and blood-soaked, and all I want is more fantasy like this. Read if you like: post-climate change fiction; stories that don’t center white people; cinnamon roll side characters; gods being gods; urban fantasy with a fresh feel. Image of books on a table from Unsplash. Here is part two of my 2015 Books In Review. Part one is here. This is the kind of book where I finished it and immediately looked up the author and everything else she has written. Unfortunately, this is Duyvis’ debut, but fortunately she has another book coming out this year. 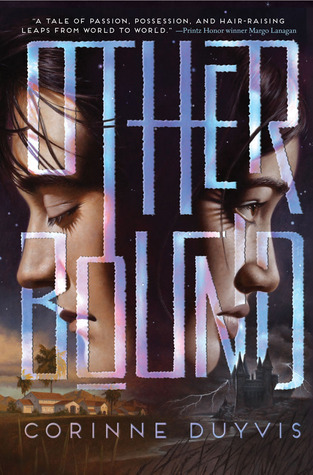 All that’s to say that this was a YA that made me so, so happy. Interesting fantasy world: yes. Awesome female main character: yes. Awesome bi main character: yes yes. Very high stakes that keep getting higher: yessity yes yes. No love triangle: OMG YES. Fun(?) moral choices: yeeessss. I don’t often unequivocally recommend books, but here you go. Read it. 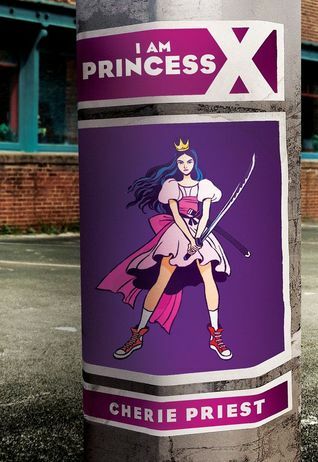 My last WIP had an ace main character, so before I started the draft zero I wanted to see what kind of ace representation was already out there in the YA world. Answer: nothing. Real answer: well, almost nothing. 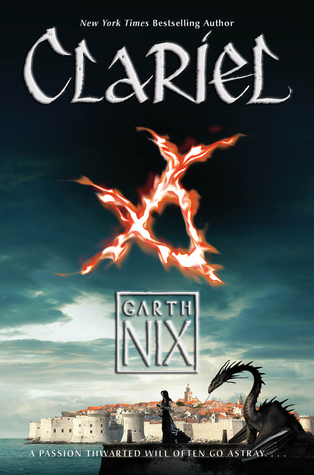 Clariel is the only one I’ve found so far with an ace MC, and boy is she awesome. “After a decade of domestic disharmony on a failing farm, Dellarobia Turnbow has settled for permanent disappointment but seeks a momentary escape with a younger man. As she hikes up the mountain road behind her house to a secret tryst, she encounters a shocking sight: a silent, forested valley filled with what looks like a lake of fire. For her, it’s a cautionary miracle, but it sparks a raft of other explanations from scientists, religious leaders, and the media. You know me and literary fiction: there’s a reason most of my favorite list is fantasy. But goodness, this was a fulfilling, yet restless, book. Most descriptions bill it as a story about global warming, but it is so much more than that: a story of chaos and transformation. 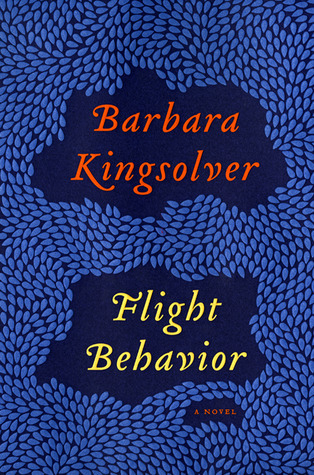 Of course, I loved the parts about the butterflies the most, and all the detailed information about their lives. Absolutely insane what they go through. On top of that, I loved the depiction of science and scientists. As someone married to a scientist, I understand the frustration of watching your research be willfully misinterpreted. That careful underscoring of what, exactly, is science as well as why, sometimes, people ignore science was what really made the book. Once upon a time, two best friends created a princess together. Libby drew the pictures, May wrote the tales, and their heroine, Princess X, slayed all the dragons. A breathless chase through Seattle, where I never quite knew what was going to happen, ending with crazy madness and excitement. The comic portion integrated very well with the story and it was cool to see what May had been talking about just the page before play out in the comic. This was absolutely ridiculous. But in a good way! 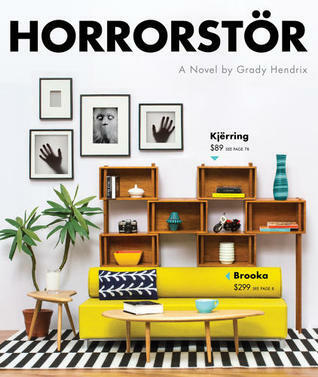 I wish I’d had it for Halloween, because it would have been a perfect all-night read. Just spooky enough without actually being scary. Just odd enough to be hilarious. And a perfect commentary on working in the modern retail environment. The illustrations of the various Orsk products were also brilliant, devolving along with the story. I liked finding all the easter eggs in both the drawings and the story. Another book I read all in one sitting, because it was just too much fun to put down. “This is the way the world ends. Again. Jemisin has solidified her place in my Absolute Fave Authors A++ category with this novel. It is haunting. It is gorgeous. It is surprising. It may or may not be paying a direct homage to Portal 2 with that ending. It is, in a nutshell, everything I want from modern fantasy. 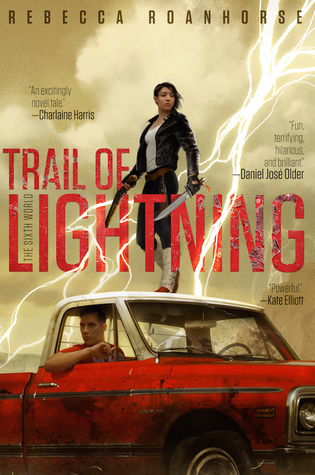 Diverse and interesting and fully fleshed characters. Diverse and interesting and fully fleshed worlds. Several did that just happen?! moments. New magic systems that make me go why didn’t I think of that?? Moral questioning. Moral darkness. And a very on-point critique of our own society. 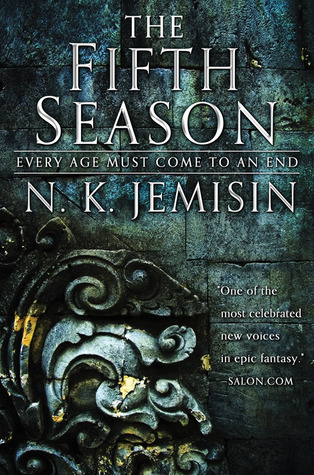 The Fifth Season is by far and away my favorite novel of 2015. If you take nothing away from this list, at least do yourself a favor and read this.